Pelham is a group of five charming hamlets Fonthill, Fenwick and Ridgeville of Pelham, Effingham and North Pelham. The region is located between Lake Erie and Lake Ontario in the heart of the Niagara Peninsula minutes away from Niagara Falls. The region of Pelham is known for its family camp sites, golf and a swimming spots. Parks, conservation areas, fishing locations, golf courses, a number of activities available for tourists in Pelham. Explore the wetlands and waterfalls of Short Hills Provincial Park. The St. John's Conservation Area, a natural park with wooded walking ways is also located here. Discover Pelham, the lush orchards with roadside stands, artisan galleries, antique and craft shops, fine country dining and lot more. Go to North Pelham. 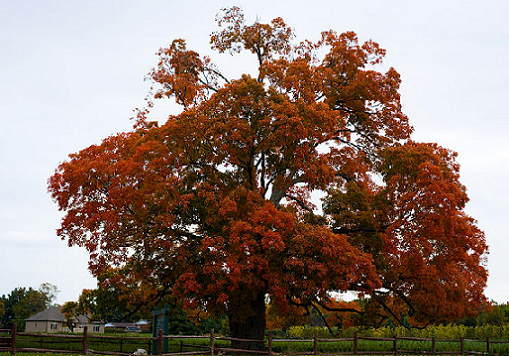 See the oldest and the longest living sugar maple tree, the "Comfort Maple" (height 90 ft and width 85 ft) in Canada. Niagara Skydive Centre is a major attraction in Pelham. The centre is a Member of the Canadian Sport Parachuting Association and United States Parachuting Association.